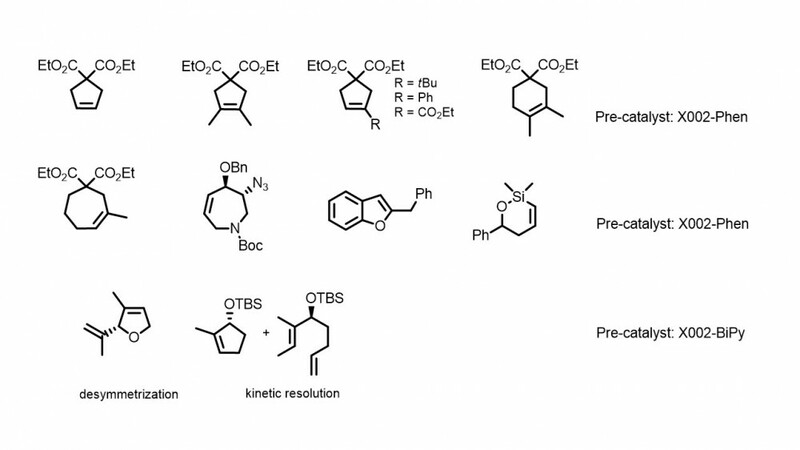 Utility of Mo and W based metathesis catalysts is well documented, both the activity and selectivity have been demonstrated many times in the literature and also in our blog. On the other hand, the air/moisture sensitivity of the Mo and W-catalysts are widely debated and there are several approaches to overcome this hurdle. One option is the physical encapsulation of Schrock alkylidenes, which we developed at XiMo, to formulate air stable, easy-to-handle XiMoPac pellets. You can learn more here. Another option is the chemical stabilization method, developed by Prof. Alois Fürstner (Max Planck Institute) earlier. 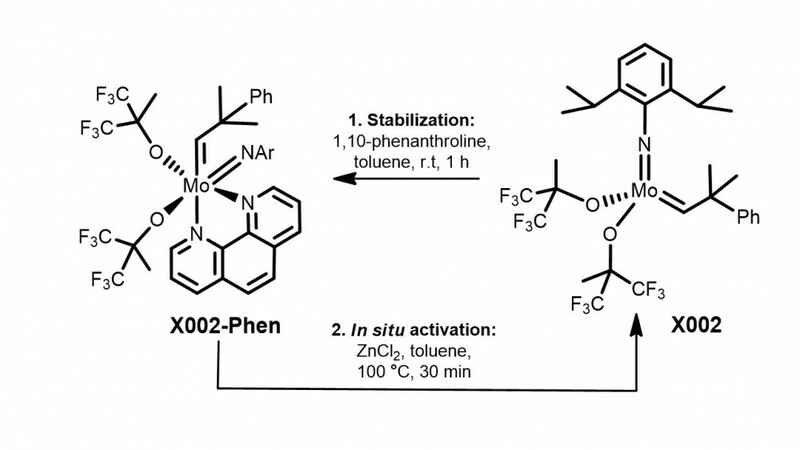 This method stabilized several catalysts including the widely used bisalkoxy catalyst X002 by complexation with bidentate N-heterocycles, such as 1,10-phenanthroline or 2,2’-bipyridine. The resulting adduct (X002-Phen or X002-BiPy) is bench stable, and easy to prepare: one just need to mix equimolar amounts of adduct and N-heterocycles in toluene at room temperature. The parent active complex has already been marketed by XiMo in bulk (X002) and in paraffin formulated pellets (XiMoPac-Mo007). Heppekausen, J.; Fürstner, A. Angewandte Chemie, 2011, 123, 34, 7975-7978.